There is more to color theory than simply observing colors. 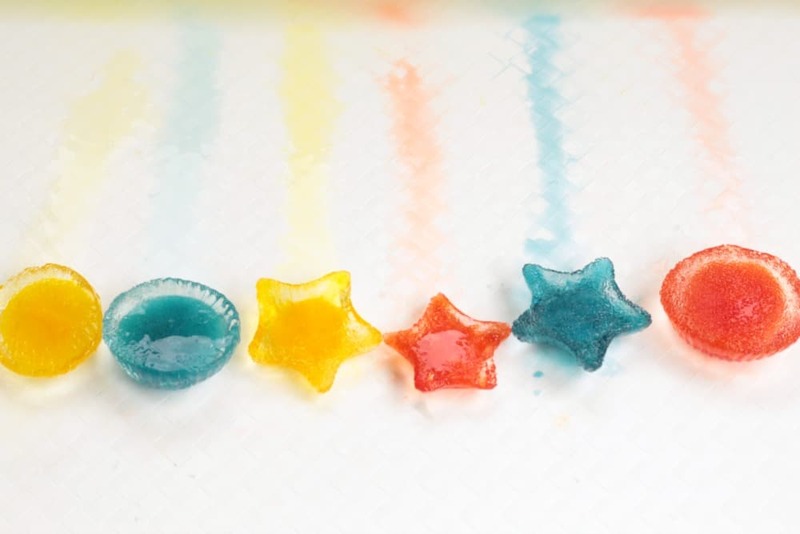 You can observe colors in nature with a color scavenger hunt, then challenge preschoolers to make their own colors in this color mixing ice challenge. 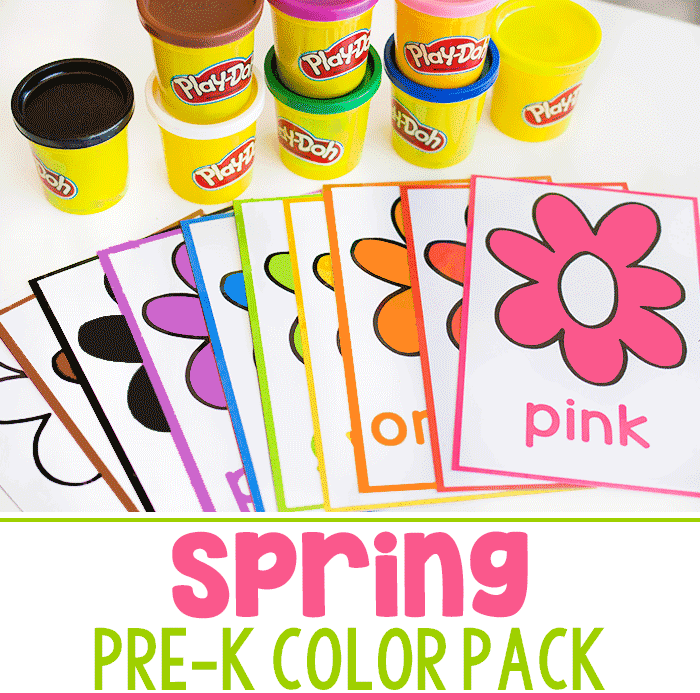 Preschoolers will learn all about color theory and basic color science while trying this activity. And since the activity uses ice, it’s the perfect activity to try with preschoolers outside on a warm summer day. Playing with ice might soon become your favorite way to keep little ones occupied with an educational activity when the temperatures start to rise. 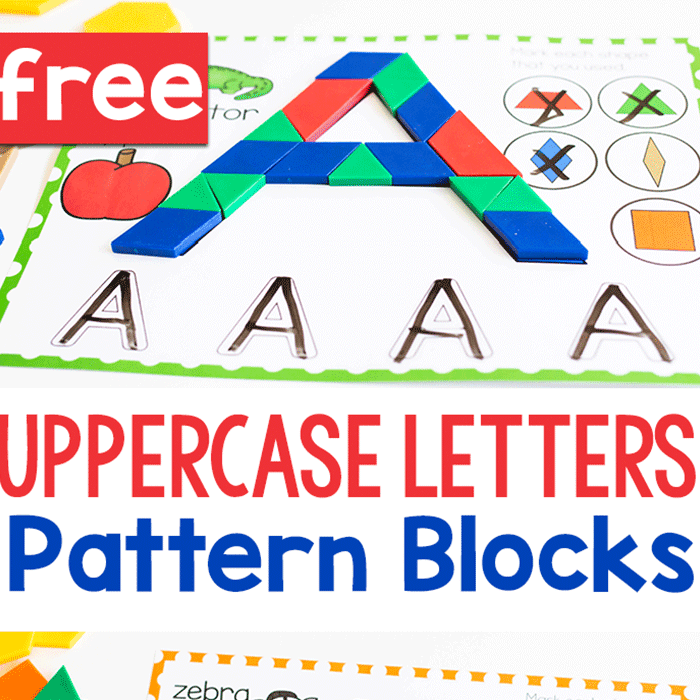 Science will easily become your child’s favorite subject with hands-on activities like these! 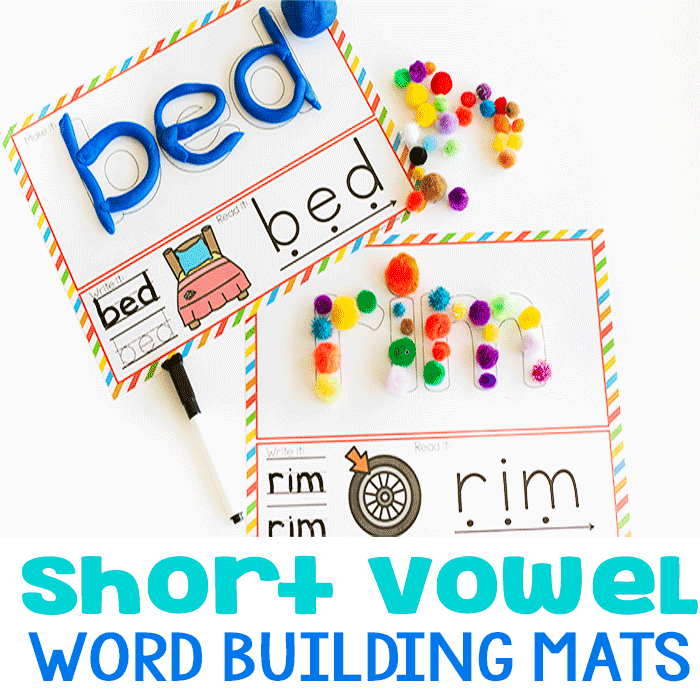 The night before doing this activity, place your silicone molds on a tray. We made two molds each of red, yellow, and blue primary colors so we could make all the colors in the rainbow with our ice. 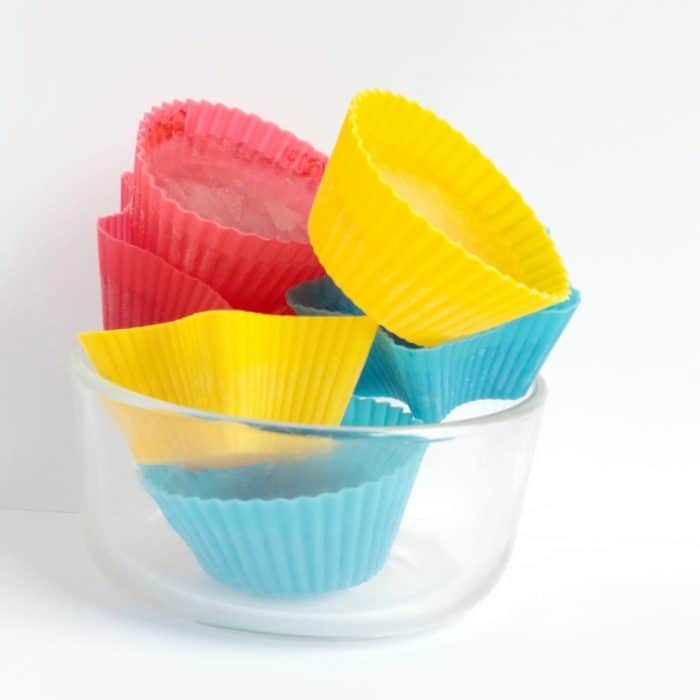 Use more dye than you think you will need because the more you use, the more dramatic the color mixing will be. 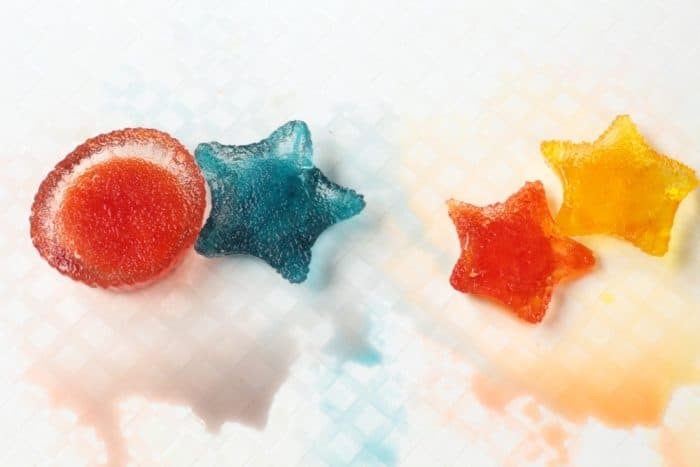 Make sure you mix the dye into the ice extremely well, or it will all fall to the bottom of your ice cubes. Freeze the ice for 24 hours or overnight. When the ice is frozen, pop it out of the molds and onto the white tray. 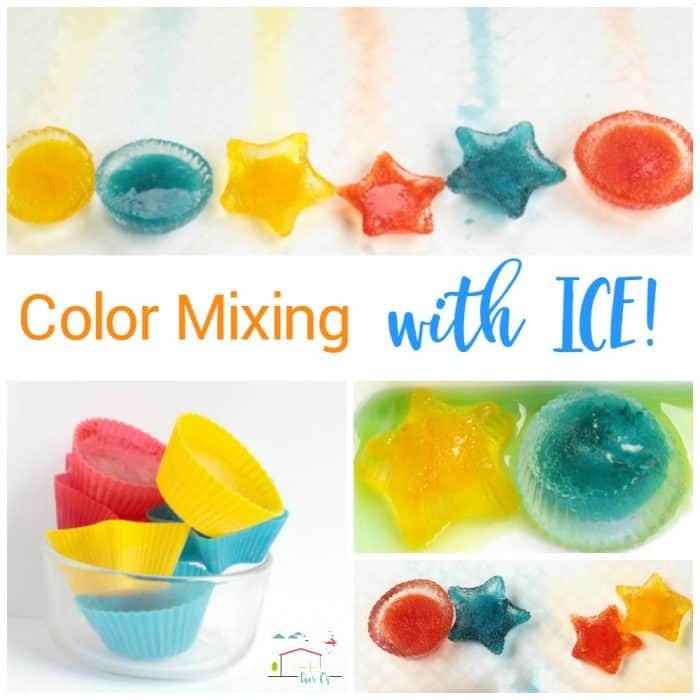 Show your preschoolers how you can melt the ice (a little salt helps) and when the right color combinations are used, they can make new colors! 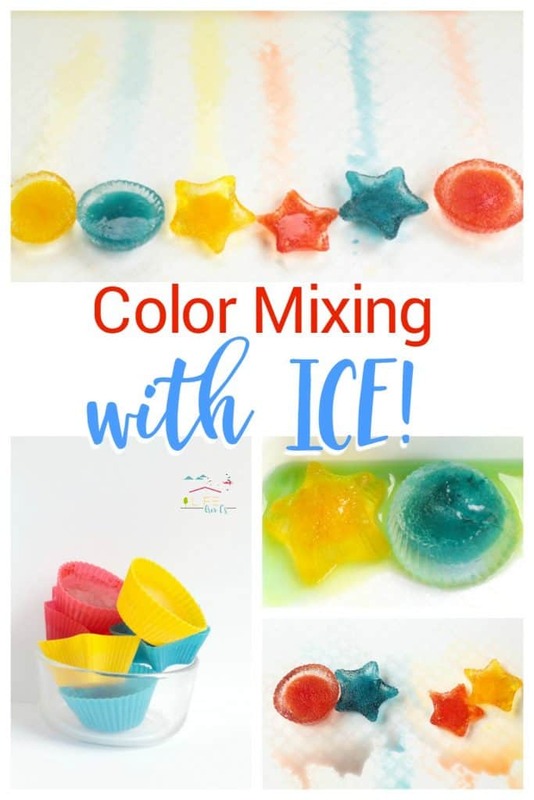 Little ones will love playing with the ice and making different colors. When all the ice is melted, you’ll be left with a sort of brownish colored water, which is yet another color to see! 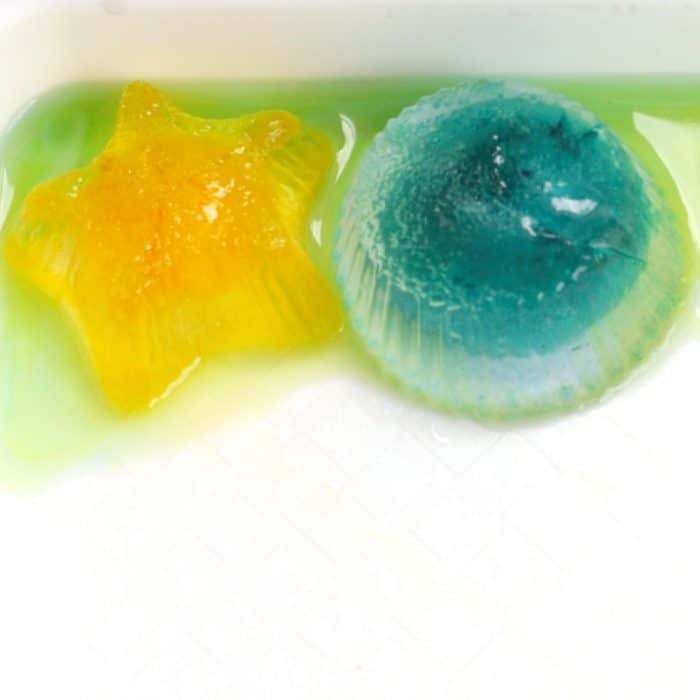 Preschoolers think this activity is basically magic and my preschooler had tons of fun playing with the melting ice. More Science Activities You’ll Love!